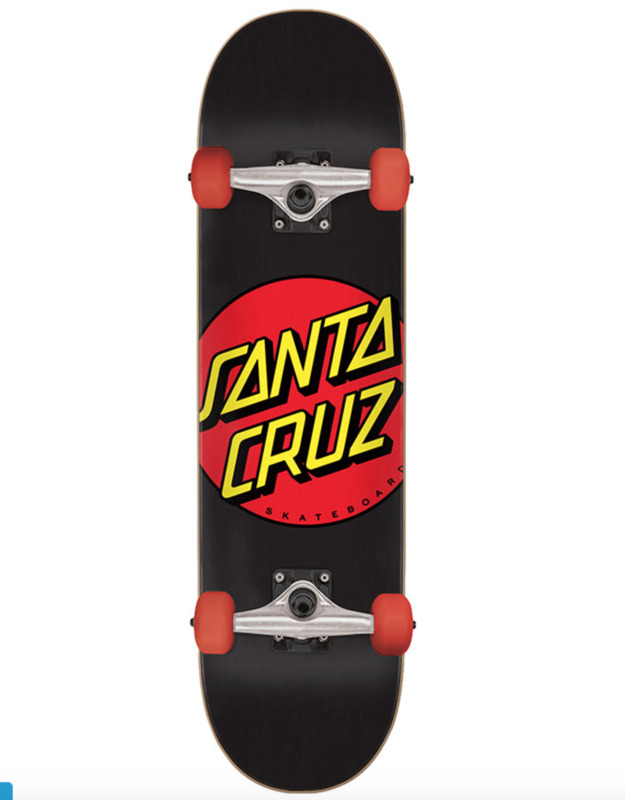 DESCRIPTION New ready to ride completes from Santa Cruz Skateboards . 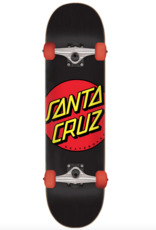 The SC "Classic Dot" complete skateboard is made with Hard Rock Maple and has a medium concave. Each complete comes with Bullet 120 trucks, 53mm OJ Wheels, and Abec 5 bearings. A great choice for little rippers who are just starting out.